Solving the Problem of not having a warm meal for College students and the working class. People who have long working hours, pulling all nighters, gained freshmen fifteen and are trying to eat healthy. 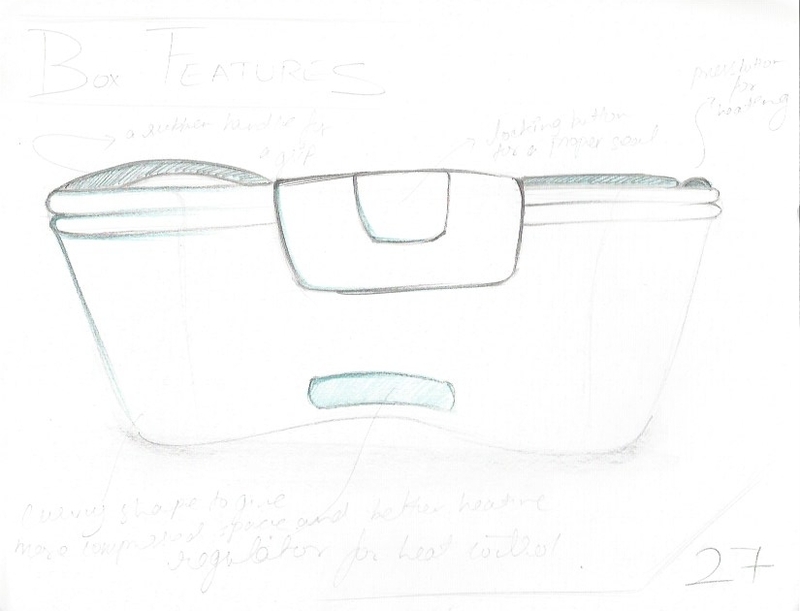 Planning to make a portable food storage device that would reach out internationally too and help people eat a fresh and warm meal everyday. 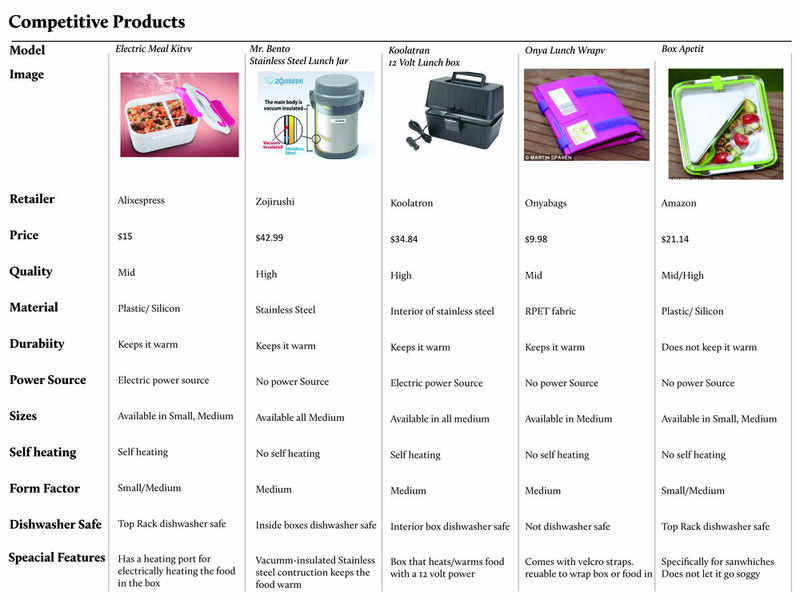 To understand the main problem, started by looking into the current products already available in the market. Analyzed their cost, material, durability and features. After shortlisting the competitive products, I picked the best product and analyzed its functions and features. Conducted an experiment to see the reliability of the product. Conducted surveys and interviews to ridentify the importance of the issue and be able to design a product to solve the problem of not being able to have a warm home cooked meal at your workplace or university.